She my mom has been recently been told she has a diseased lung and liver believed to be cancer. Please pray for healing no one believes in miracles but I do. She has worked her entire life in health care and has always done things for people even though she had a large family of her own. She would donate much of her time to help others it is now her time in need. Please pray for a recovery from the disease. 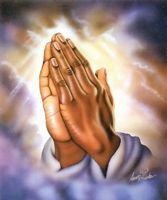 I strongly believe prayers in numbers are better thank you.